A MUCH-loved piece of 19th century industrial heritage on the Kennet & Avon Canal will now receive extra recognition and protection, with the announcement this week (April 8) that its Grade II Listed status has been amended to Grade I.
Claverton Pumping Station, near Bath, is owned by the Canal & River Trust, and was built to pump water from nearby waterways into the Kennet & Avon during the height of the industrial revolution. In spite of being more than 200 years old it’s still in working condition – thanks to the dedication of its own team of volunteers. And it’s their hard work that has helped Claverton to gain increased recognition. Historic England’s Grade I Listed designation means that the building is of exceptional interest. Only 2.5% of the UK’s 500,000 listed buildings are Grade 1 listed. So the humble pumping station now enjoys the same status as such iconic buildings as Brighton Pavilion, Chatsworth House and St Paul’s Cathedral. 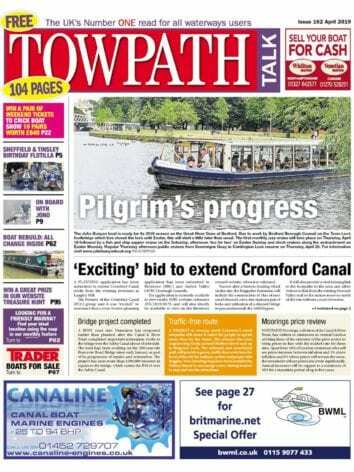 Audrey O’Connor Senior Heritage Adviser for the Canal & River Trust explains: “This is fantastic news for the Trust. Claverton is a special place for many reasons. When built it was in the vanguard of engineering, keeping the K&A topped up with water needed to transport freight between London and Bristol. Since 1967 it has captured the imagination and inspired the hard work of volunteers who have cared for the building. The current team continue that long tradition and are responsible for this elevation of status that will safeguard Claverton for future generations. Claverton Pumping Station (Ferry Lane, BA2 7BH) welcomes visitors at certain time of the year. The volunteer team lead guided tours and share their passion for the building. The pump will be open and running every Saturday from 20 April to 28 September inc and on Saturday 26 October. 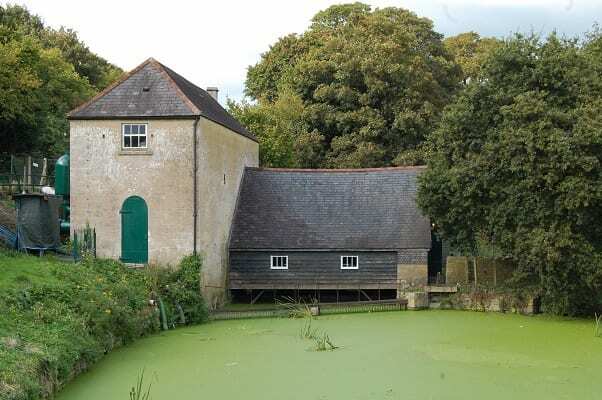 Built in 1812 by John Rennie for £6,279 the pumping station has been recognised for a number of reasons. It is the only working example of a waterwheel-driven pumping station on the national canal network. Very few canals retain their original pumping stations in working order and Claverton uses innovative technology, invented by James Watt. And, despite being adapted over the centuries it still has many of its original elements including the pumps. It is, say Historic England ‘of international significance and exceptional interest’. The Canal & River Trust owns more than 2700 listed buildings, including the Grade I listed Pontcysyllte Aqueduct. Next Post:What could your community do with £5000?